Xhyniie has been a Kpop fan since 2010 and a K-drama fan since 2000. She enjoys writing about the Korean entertainment industry. A K-drama doesn't always focus on melodrama, romance, history, comedy, or action. 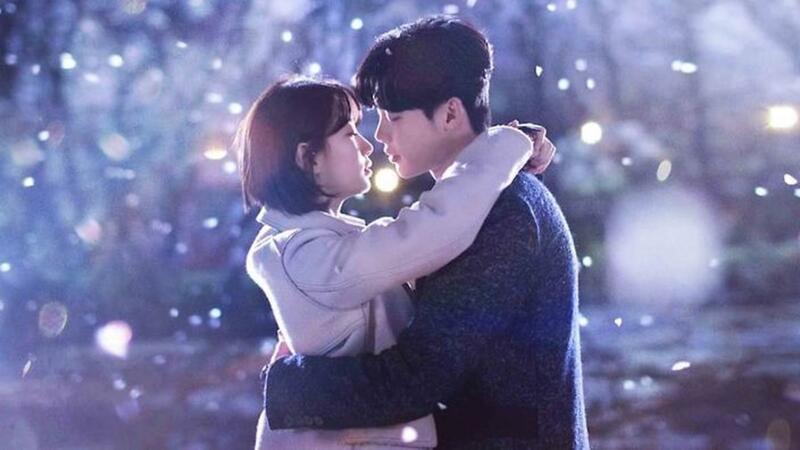 Many television series and movies that depict friendship, teenagers, and high school life can become the starting point of K-drama addiction. In this article, I will be presenting the 18 best Korean high school dramas that will surely appeal to your taste. While watching these shows, you will undoubtedly recall your teenage years and your experiences as a high school student, with plenty of angst and drama thrown in! I will be talking about some overlooked series that are worth checking out. These series span the course of the past ten years when audiences outside of Korea began to get into watching these types of shows. Thailand has also produced teen dramas and films that become known worldwide. Different teen stories have been present to the viewers in both television and cinema. Here is a list that has been proudly made of Thailand. This is a 2011 Korean musical drama that stars Park Shin Hye and Jung Yong Hwa in the lead roles and it's set in a performing arts university. It is a story about friendship and love that involves students from the Western music department and the traditional Korean music department. Yong-hwa is the vocalist and guitarist of the famous band Stupid. He's in love with a professor at his school. He meets Shin Hye, who is from the traditional Korean music department and plays gayageum. In a world where two people have different views on life, will love find a way to bring them together? 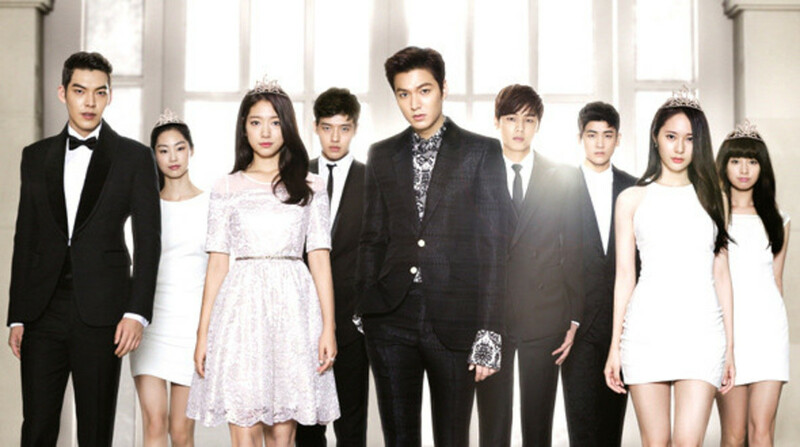 The Heirs is a 2013 drama starring Lee Min Ho, Park Shin Hye, and Kim Wo Bin in the lead roles. The story depicts the lives of elite students who have struggles in their teenage life such as falling in love, school problems, family-related problems, and being trained to inherit their families’ businesses. It is set in a school with characters that have different personalities. Unlike other school-related dramas that focus on bullying, this drama tackles not just their lives inside the school but also teen romance. Both Lee and Kim play rich students and former friends. On the other hand, Park plays the love interest of the two actors. Sassy, Go Go is a 12-episode K-drama broadcasted by KBS2 in 2015. 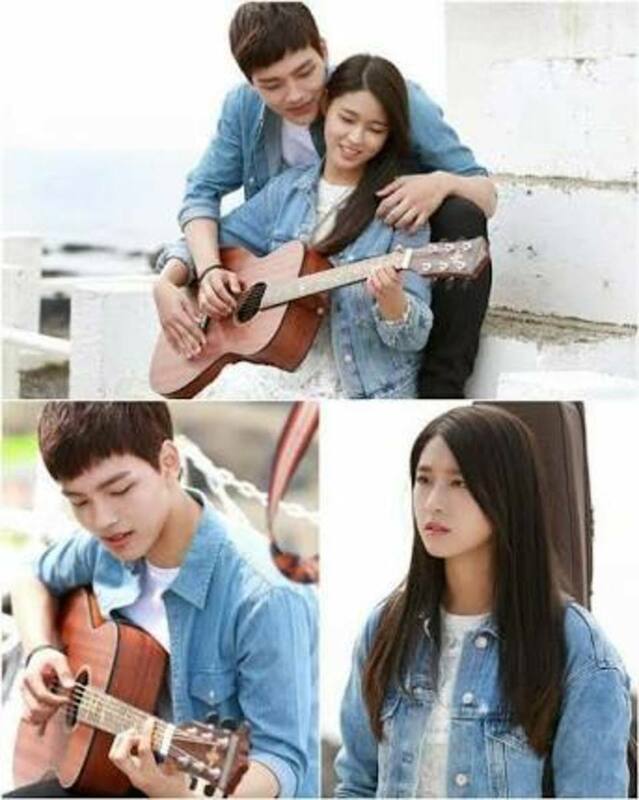 This stars Jung Eun-ji, Lee Won-keun, Cha Hak-yeon, Ji-soo, and Chae Soo-bin. Sassy, Go Go depicts the lives of students who experience the harsh environment of school. Just like other school dramas, it deals with the real experiences that each student typically goes through. It also shows the importance of friendship and the love of teens. This is one of shortest K-dramas, and it is fun to watch with 12 episodes. It stars Kim So Eun, Seo Kang Joon, Kang Tae Oh, Hong Myung, Yoo Il, and Lee Tae Hwan. The story is about a student named Kim So Eun who is known for having a timid personality and being an unadventurous girl. One day, she receives a note from an unknown person inviting her to the after school Lucky or Not Club. In the club, she meets five flower boys that choose her to be their leader. Every day, they draw a random slip of paper that contains a fantastical and extraordinary mission that the group must complete. This activity draws out Kim So Eun’s adventurous and bold side. If you are searching for a drama with Lee Min Ho before he gained stardom, then I recommend you watch Secret Campus. It was released in 2006 and was broadcast on EBS. Honestly, I only know Lee and Park Bo Young in this drama. Secret Campus is about modern students who experience different problems and stress in school. It tells the story of the lives and the relationships of six students who have different dreams in life. This drama mainly focuses on the lives of teenagers who struggle to achieve their goals with their trials and tribulations. This drama is not your typical high school or teenage drama that we have seen on television. It still involves students and the issues they face at home and at school. The plot is cliché, but it will surely attract viewers who love crime dramas. Also, the problems that are tackled here are not just about bullying. It features different issues which people might consider to be very sensitive. The story of this drama revolves around five girls who are known as private high school detectives. They face problems such as school bullying, but together they help solve these problems one by one. I would highly recommend this drama not just to teenagers/students but also to parents and teachers so that they can understand the issues teens often deal with. Unlike other teen/high school dramas that are known for projecting issues that students face (such as bullying), Orange Marmalade is about the life of a student who is a vampire. So while this is another vampire drama, it mostly targets teen audiences. The series is set in a world where humans and vampires co-exist. Vampires have evolved and no longer rely on human blood. However, humans are still afraid of them, and sometimes vampires feel discriminated by society. 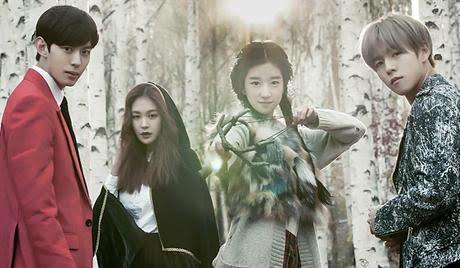 Baek Ma-ri transferred to another school where students have no idea that she is a vampire. But everything changed when she accidentally bites the neck of a popular boy named Jung Jae-min. Baek Ma-ri becomes caught in a love triangle between another vampire student and Jae-min. Who will Ma-ri choose at the end? Human or vampire? Who Are You: School 2015 might sound familiar to you if you have watched its previous series. It is the sixth installment of KBS School series, which started to air from 1999 to 2002, then again in 2013. Basically, it features a familiar plot and characters, but it still depicts the life of every student in Korea. It might be cliché to some of you, but for those who want to understand more about the life of teenagers, this is a must-watch. The story revolves around the life of two identical twins, Go Eun-Byul and Lee Eun-Bi (both played by actress Kim So Hyun), that were separated after one of them was adopted. Eun-bi lives at an orphanage, yet she still manages to focus on her studies. However, she is bullied in school. On the other hand, Eun-byul is the opposite. She is studying in a prestigious school in South Korea and is known for her mean personality. A tragedy will change their lives. Lee Eun-Bi will end up pretending to be her sister. But what happens to Go Eun-Byul? How will Eun-Bi manage the fame of her sister? What if Eun-Bi meets the girl who bullies her? Will she act as Lee Eun-Bi or the mean Go Eun-Byul? 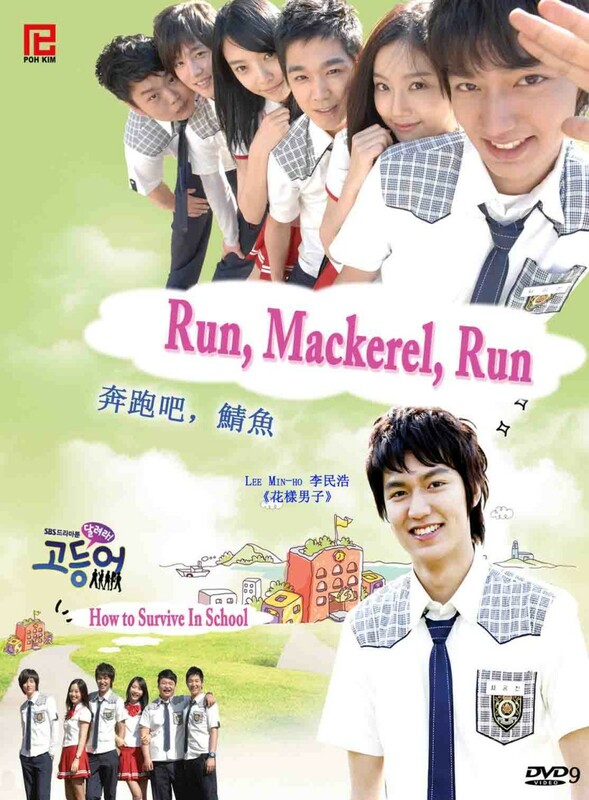 At the number 10 spot, we have Mackerel Run starring Lee Min-Ho and Moon Chae-won. It was a year ago when I started to watch Lee Min-ho's dramas, and one of those dramas was MR. Though he is known for Boys Over Flowers, I highly recommend this teen drama to his fans. Mackerel Run is a fun-filled high school series packed with irritating instructors, sappy affection stories, sports rivalries, passionate dismissals, schoolyard tormenting, and a great deal more. It was really a disgrace that the show finished so early and unexpectedly as the ending appeared to be hastily put together. At ninth place is the teen drama Adolescence Medley. This drama will bring back some of your high school memories. It is a very short drama with just four episodes yet it's so touching. I missed my high school life after watching this drama. Indeed, high school life is the most enjoyable and unforgettable stage in a person's life. This show about students at a village high school was adapted from the webtoon of the same title written by Kwak In-geun, which was distributed on Daum WebToon from November 9, 2011 to February 29, 2012. In eighth place is the teen drama To the Beautiful You. It is a Korean version of the Taiwanese drama Hana Kimi. I know you are familiar with the cast, especially Sulli and Choi Min Ho, but I have to say that Sulli is very handsome in this drama. I am a super fan of the Taiwanese version which is why I watched this drama. There is no doubt Sulli can act well in different roles, especially acting like a boy. I completed watching this series a year ago and have been watching K-dramas for some time now, and I have to say that this is one of the best ones I've seen. It's silly, decently scripted, and coordinated with awesome acting from its cast. In seventh place is the teen drama Jungle Fish 2. This is one drama I cherished watching. The series calls attention to everything that happens in secondary school. It mirrors the society that we have now. I love the nerve-wracking parts, especially when they are solving mysteries! In sixth place is the teen drama Ma Boy. I personally included this drama on my list because it has something that teens want. I mean the "kilig" feeling that will help you recall your high school life. But what makes this show different is that it has a boy who is pretending to be a girl. And honestly, the leads, Kim So-hyun and Sun Woong, are very beautiful. Sun Woong has the talent and ability to look and act like a girl, much like my idol GD. This is one of the shortest teen dramas, but it's also one of the sweetest love stories. I highly recommend this to anyone into K-drama. Jang Geu Rim and Hyunwoo make a great couple. In fifth place is the teen drama Hi! School: Love On. I just finished watching this drama last night, and I was amazed at the actors in this series. It's not just about teens but an angel who falls in love with a human. 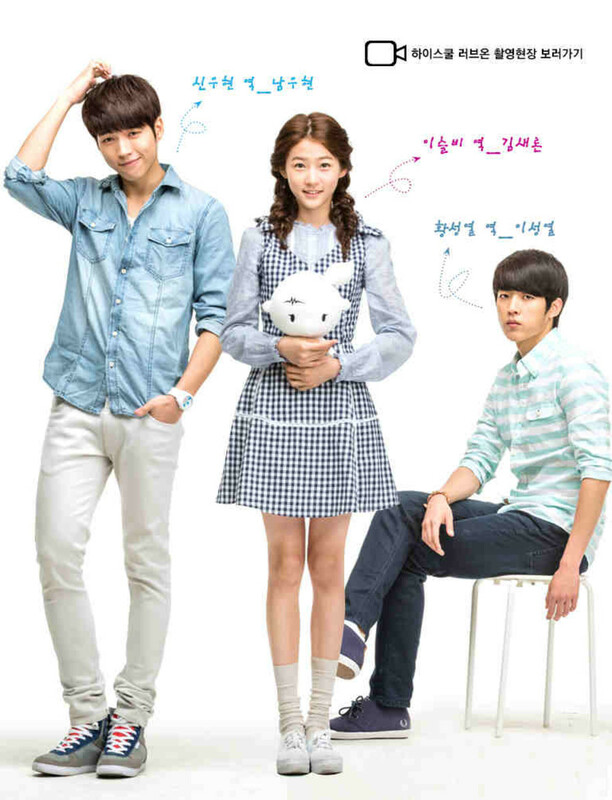 And because of this drama, I am now a big fan of Kim Sae-ron and Nam Woohyun. If you consider yourself a K-drama fan, then you should watch this show. Seriously, the early scenes are so charming! Although it’s true that it’s a bit unequal between light-hearted comedy and tackling serious issues towards the end, I think the sweet scenes at the beginning compensate for it! I am now falling in love with Nam Woohyun. 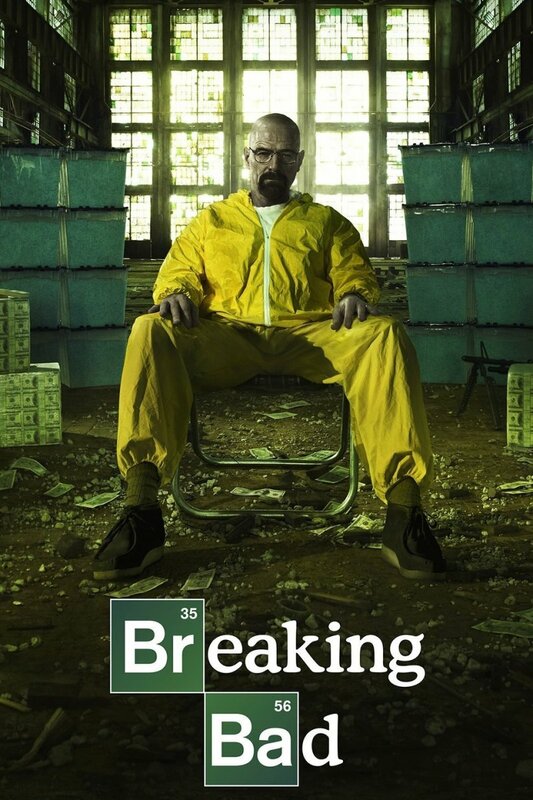 This is one of the best dramas I have watched. Granted, there were times when it was excessively farfetched, and it did have some dull moments. However, it was also loaded with suspense. I was always eager to see what would happen next. Within the first few minutes, I sensed that this series was truly terrifying and troubling. It makes you think what you would do if you were in the situations presented. All things considered, I believe that each one of us has our own inner villain and this show demonstrates it consistently. The music just expanded on this feeling. Each character was portrayed in a wonderful way. However, my favorite character is Kang Mireu. I truly appreciate watching Kim Woo Bin in diverse parts where he can show his abilities. You will surely learn many life lessons in this drama. Like how you can achieve what you want as long as you are willing to learn, study hard, and have the will to survive your hardships. Maturity and setting goals in life will help a lot. In reality, we learn lessons from our teachers and it goes the same for them as well. Pulip is so charming. She is a pleasant young lady, and she has incredible chemistry with Baek Hyun and Chan Doo. She makes an adorable couple with both of them. Her acting is great and the Korean people cherish her. I can easily understand why both gentlemen cherish her. This is one of the best Korean teen dramas I've seen. The drama deals with romantic love, but it also covers the love for family, friendship, and brotherhood. The acting is really great as well. Every scene touched my heart. Reply 1997 is funny, witty, creative, and has so many sweet and cute moments. In first place is the teen drama School 2013. If you haven't watched this drama, then you should now. The cast, plot, and touching moments made this drama very popular. The relationships displayed in the show truly made it worth watching. The pleasant and fantastic Nam Soo was a highlight, but the rest of the cast made this show as well. There are two things that touched my heart while I watched this series. First, it realistically portrayed the relationship between teacher and student. It is truly difficult to work with delinquent students, yet Jung never gives up on her students. She generally gives great advise to her students who fall into bad situations. The second thing I found touching was the relationship between Park Heung Soo and Go Nam Soon. The relationship between these two fellows was truly more stronger than siblings. You may be interested in finding stories like the ones featured on this list in the form of a film. Many heartwarming stories about high school life are also present in Korean cinema. Here are some that are worth checking out. Korea is not the only country where quality high school dramas are coming from. China has some pretty great series as well. Here are some you should look into if you want to expand your watchlist. India is another country that produces high quality, well-known and must watched dramas and movies. Let us look closely to their pieces of art that each of you here should include on your list. Moorim School: This is a school drama set in a mysterious institute where the teachers teach about virtues such as honesty, faith, sacrifice, and communication. It is a drama where the characters have different personalities and their own stories. High School King of Savvy: This drama tells the story of a high school student who impersonates his brother in his new job. The lead character is set to be a student while being a high-ranking executive at the same time. What makes this drama worth watching is that it teaches the viewers how to balance school, a career, and your love life. Boys Over Flowers: This is the Korean adaptation of Meteor Garden and Hana Yori Dango. It tells the story of four boys and the one girl who will change their lives. This drama has a love triangle between the lead characters, just like what you’ve seen in the Taiwanese and Japanese version. Playful Kiss: This drama tells the story of a girl who has a crush on a famous, intelligent, and handsome guy in her school who happens to be the son of her father’s best friend. What do you think is the best teenage/ high school Korean drama? I really really love The Heirs!! I can't forget how charming Lee Min Ho are!! this is the best episode kdaraamaa schools! You can easily watch all of these dramas with subtitles at kissasian. Recommend A Love So Beautiful. Best one I've seen! Where can I watch Moorim School with english subtitle and full episodes? I really love high school love on !! It so amazing..
Sassy go go, Moorim school, and PLAYFUL KISS. I really love these dramas. The drama is Reply 1997 where the student's brother is a teacher at the school but they pretend not to know each other. You can watch Orange Marmalade on the websites www.dramacool.es & www.kissasian.com. The year 2016-2017 has a great deal of romantic dramas lined up in the Korean drama and movie scenes. Korean drama series are not similar to the regular drama series. They have a unique twist which makes them interesting and captivating. They comprise of miniseries, with each series telling a certain specific story. Every drama series has about 16-20 episodes each with a definitive story line. I love very much the series "BOYS OVER FIOWERS" it's my most favourite K .drama ever and ever!! i like all k drama they are all AWESOME! 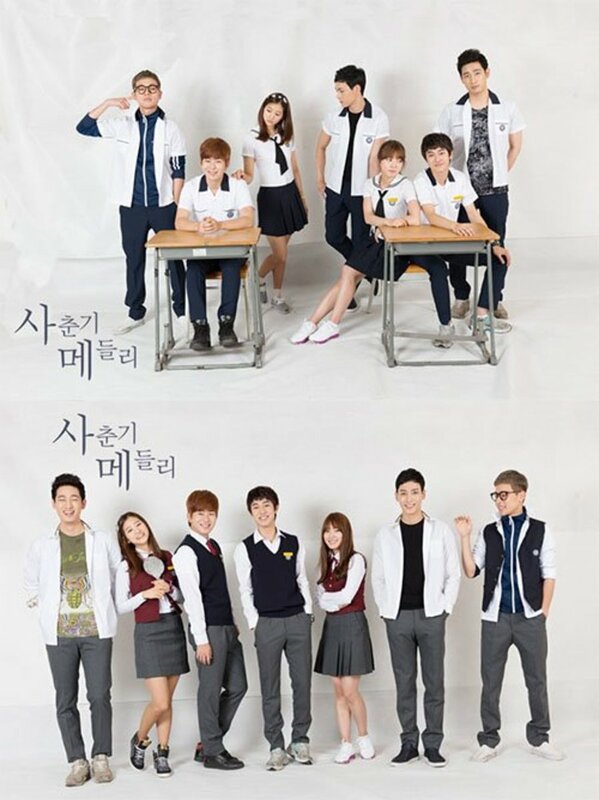 I personally think that school 2015 is the best. Although its story is about bullying, the plot per episodes are pretty interesting. The romance is not too overwhelming, just as simple as high school romance normally. It's nice to finally found it because I watched some hi-school drama before and most of them were too cheesy (for me). 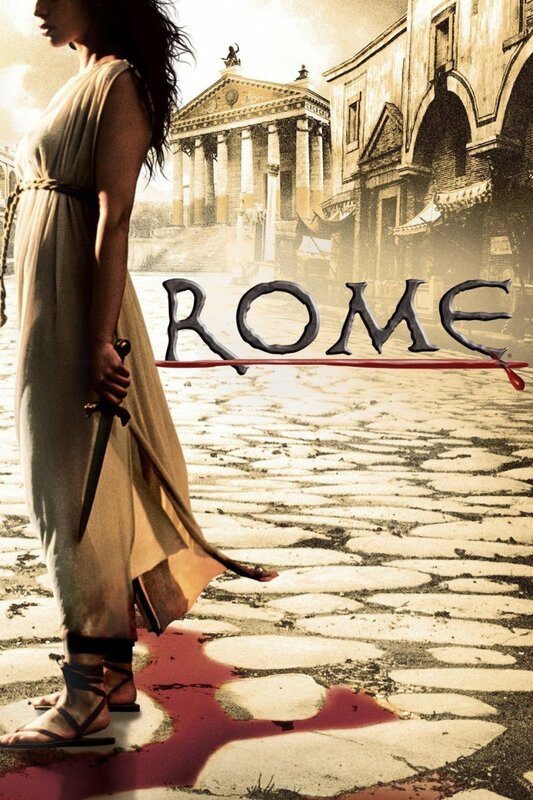 I was really amazed by the actress as she acted very well and got into the story. WHY?? because it's funny, there's high school romance, and the story is more than just amazing. BUT to be more specific, it also tells us about friendship and life. i really love High school love on!! oh my..... super kilig!! @Qammarh - You should also watch the Taiwanese and Japanese version which is Hana Kimi. I'm sure you will love it. @you can watch it viki. Where can i watch "orange madalade" ? I cant find it on youtube. 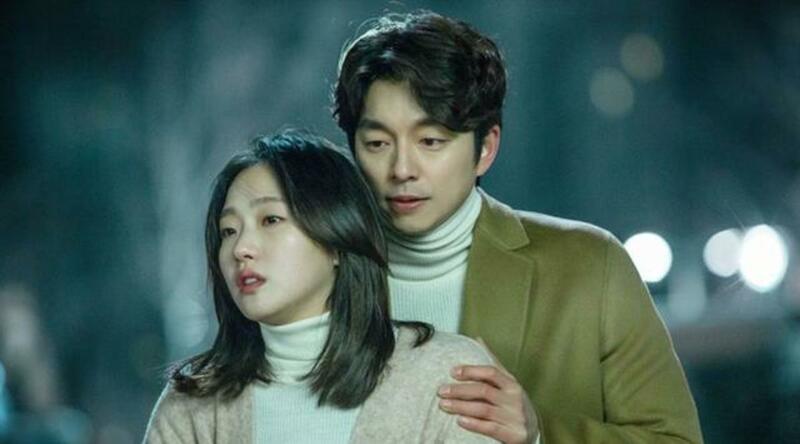 Can you help me remember the title of a particular kdrama about students where one of the characters lives with his brother who happens to be a teacher at his school?